“Human rights defenders raise their voices to champion our common values. They speak on behalf of all of us when they insist, sometimes at great personal risk, that the fundamental rights of others be respected,” commented Markus Börlin, Permanent Representative of Switzerland to the Council of Europe, as he introduced the briefing. “This is why we must be extremely concerned if human rights defenders become themselves targets of oppression. If human rights defenders are silenced, this does not only mean that their rights are violated, but also that the people whom they defend lose their strongest voice as well as the international community itself,” he continued. The briefing of the Committee of Ministers was co-sponsored by the Permanent Representations to the Council of Europe of Finland, Ireland, Norway and Switzerland. Human Rights House Foundation organised the briefing to place the issues facing human rights defenders on the agenda of the Committee of Ministers, and to inspire and empower States to support human rights defenders and civil society space. “We welcome this briefing, but urge the establishment of more space for civil society organisations at the Council of Europe, to ensure civil society and human rights defenders are systematically brought into the agenda and discussions,” commented Maria Dahle, director of HRHF, following the briefing. “It should not be a rare engagement for the Committee of Ministers to hear directly from human rights defenders who work on the ground in Member States – improving societies, contributing to peace and democracy, and protecting against violations. These defenders – and the international NGOs that support them – should be invited closer into the work of the Council of Europe and granted a more formal role,” she continued. She stressed that the Council of Europe has more than enough tools and mechanisms to address threats to human rights defenders and journalists, and what was needed was not necessarily new initiatives, but States that are willing to listen. She held States ultimately responsible for addressing threats to human rights defenders. Around 90 participants, including diplomats from at least 36 of the 47 member states attended the briefing. On the panel, Mijatovic and O’Donovan were joined by human rights defenders from Human Rights Houses Belgrade and Voronezh, in a discussion moderated by the Deputy Permanent Representative of Ireland to the Council of Europe. This was the second time Human Rights House Foundation has organised such a briefing on the margins of a weekly meeting of the Committee of Ministers. The first briefing was organised in 2017 . “When States do not listen to human rights defenders and disregard their human rights obligations, it is then for the international community to respond: to hear directly from human rights defenders; to promote and protect them and their work; and to remind States directly of their obligations,” commented HRHF following the 2017 briefing. In light of these challenges, the recent briefing was a welcome opportunity for human rights defenders to raise some of the major issues affecting them. Milan Antonijevic, Lawyers’ Committee for Human Rights (Yucom), member of Human Rights House Belgrade, focused on human rights lawyers and the difficulties they face, warning that two lawyers have been killed in Serbia in the past year and of the impunity that has followed these killings. He emphasised the role of lawyers in supporting human rights defenders, and set out how the Council of Europe can support them. The Parliamentary Assembly of the Council of Europe (PACE) called for a European convention to protect lawyers in January 2018, raising its concerns that harassment, threats, and attacks against lawyers continue in many Council of Europe Member States. In recent years, pressure has intensified on lawyers working on human rights. This is documented in the report Human Rights Lawyers at Risk– prepared by alumni of the Human Rights Houses’ ILIA programme and by HRHF – which forms the basis of HRHF’s advocacy on protecting lawyers and the independence of the legal profession. Antonijevic also raised the lack of media support for lawyers and the issue of GONGOs (government-organised NGOs) in Europe, drawing attention to how these organisations are undermining the work of lawyers protecting human rights. Konstantin Baranov, Youth Human Rights Movement, member of Human Rights House Voronezh, said that despite all the efforts to improve the situation for human rights defenders, it was nevertheless deteriorating in Europe. In response to closing space for civil society at the national level, he asserted that civil society should have more access for discussion at the regional level, at the Council of Europe. He called for the Committee of Ministers to consider this and make more efforts toward thematic debates on issues relating to human rights defenders. He welcomed the establishment of a mandate of general rapporteur mandate on human rights defenders by the Parliamentary Assembly of the Council of Europe (PACE). 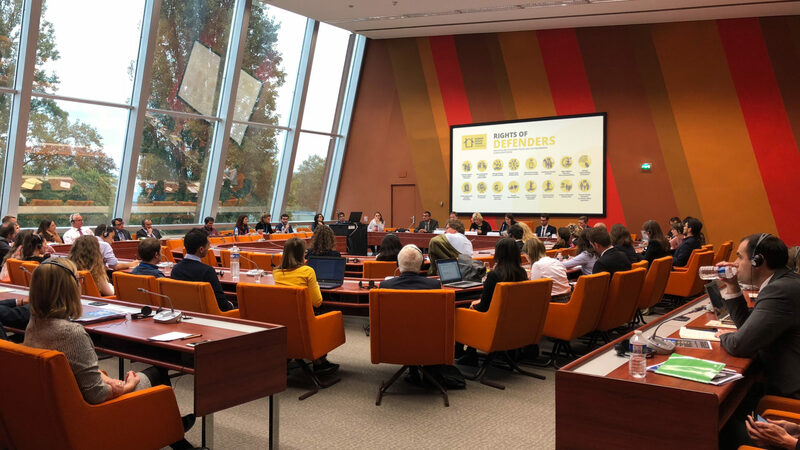 Civil society organisations have expressed hope that this mechanism will give additional visibility to the increasing risks and challenges that human rights defenders face across the region. It should also guarantee that the issue stays high on PACE’s agenda and is dealt with in a more consistent and systematic manner. Baranov also raised the ongoing work on a mechanism to protect human rights defenders against reprisals for their cooperation with the Council of Europe. The Council of Europe Secretary General proposed the mechanism in 2016. In April 2017, he announced that he would put in place a light non-bureaucratic procedure under his personal responsibility and coordinated within his Private Office. He indicated that the main aim of the mechanism is to protect direct partners and guarantee that they can work freely with the Council of Europe. O’Donovan, Front Line Defenders, expanded on the threats to human rights defenders in Europe, and sought to place these in the global context. He explained that in every region of the world, criminalisation remains the most common way in which defenders are targeted. He reported that on a global scale, around 50% of all reported violations involve criminalisation, while since 2016 in Council of Europe member states, 69% of cases taken up by Front Line Defenders pertained to criminalisation of human rights defenders as a result of their peaceful activism. Given that it is the prime responsibility of the state to protect defenders, O’Donovan called this statistic “particularly troubling.” He warned that last year, only 20% of the cases that Front Line Defenders took up in Europe developed positively for the defenders – the lowest rate across the five world regions and compared to a global average of 30%. He also highlighted the extreme dangers for defenders working on environment, land or indigenous peoples’ rights, with this work accounting for two-thirds of defenders killed last year. He warned of the role that European-based development finance institutions play in funding or part-funding projects where conflict arises because of a lack of meaningful consultation with local communities. He urged the Council of Europe to push European financial institutions to be much better in recognising the key role played by defenders in highlighting human rights violations in such projects, integrating them into their planning at the earliest stages. Maria Dahle, director of HRHF, presented the project Rights of Defenders at the briefing. This initiative by Human Rights Houses and Human Rights House Foundation promotes and builds an understanding of international standards that protect and support human rights defenders. 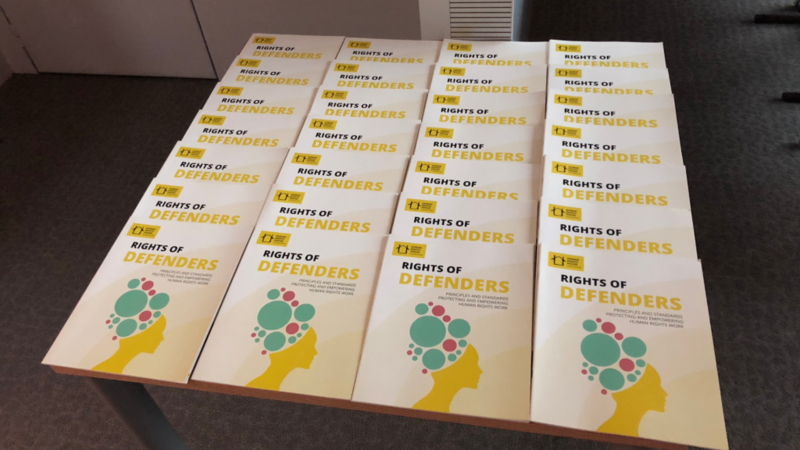 The Rights of Defenders booklet, distributed to delegations, calls for States to reinforce a positive narrative on human rights defenders. It sets out 16 standards inspired by landmark resolutions adopted by the United Nations and the Parliamentary Assembly of the Council of Europe. 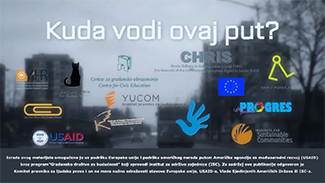 This year, 2018, has been heralded a “year for human rights defenders”, marking the 20th anniversary of the UN Declaration on Human Rights Defenders and the 10th anniversary of the Declaration on Council of Europe action to improve the protection of human rights defenders and promote their activities. The Steering Committee for Human Rights (CDDH) of the Committee of Ministers has prepared a preliminary draft Declaration of the Committee of Ministers on the need to strengthen the protection and promotion of the civil society space in Europe and is holding a workshop on the topic on 29 November in Strasbourg to get further input.